Your humble blogger picked up the Eagles new CD--their first full studio recording in nearly three decades--at Walmart, which is the exclusive distributor at this point at least. It became available on Tuesday. If you enjoy the Eagles laid back, kinda out-in-the-desert sound, this CD won't disappoint. Trademark harmonies and a country rock feel abound. Read more from Rolling Stone here. Priest Co-Wrote "Hello Mary Lou"
If you're an oldies fan, you're probably familiar with Ricky Nelson's "Hello Mary Lou." Did you know that a Dominican priest has a co-composer credit along with Gene Pitney? 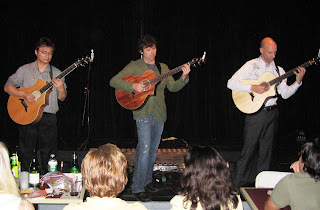 While the Red Sox were doing their thing in the World Series, the California Guitar Trio were doing their thing--fabulous guitar virtuosity--at the Narrows on Saturday night. These guys are graduates of Robert Fripp's League of Crafty Guitarists (coming this Friday), and showed that they must have graduated with "straight A's" as they wowed the crowd with intricate melodies and complex musical interplay among the three guitarists. Above is a photo of them closing the show with a beautiful instrumental version of Queen's "Bohemian Rhapsody." If you missed this show, be sure to catch them the next time--especially if you have any interest in fine guitar work. In just a few days, the Narrows will have its first-ever guitar auction. Details will be up on www.ncfta.org in early November. Proceeds will benefit the Narrows, of course. Minimum bids range from $300 to $7,500, according to info provided today to your humble blogger. Guitars were generously provided by Matthew Brown, a guitar collector living in Europe. Longtime country star Porter Wagoner, who released a critically acclaimed CD in 2007, is battling lung cancer. He's also known by we folkie/Americana types for fostering the career of Dolly Parton, who--despite her "over the top" image--is a talented songwriter and musician now celebrated in the folk/Americana community. A movie called "Chasin' Gus' Ghost" recently debuted at the Woodstock Film Festival. It's a history of jug band music, and features Narrows alums John Sebastian (pictured), Jim Kweskin, Geoff Muldaur, Charlie Musselwhite, and Paul Rishell and Annie Raines. Also featured: Bob Weir and David Grisman. Narrows fave Richie Havens will be performing at the Narrows in December, but his artwork will arrive about a month before his appearance and be displayed in our gallery. Escovedo's acclaimed 7th album, The Boxing Mirror (produced by Velvet Underground guy John Cale, who has produced Patti Smith, Jonathan Richman and others) finds the artist mixing rock 'n' roll, pop-rock, Mexican-American and more as the songs trace his recovery from severe illness. Rolling Stone critic David Fricke has asked "What does it take to make this man a star?" He's already that for many of us. Visit http://www.alejandroescovedo.com/. 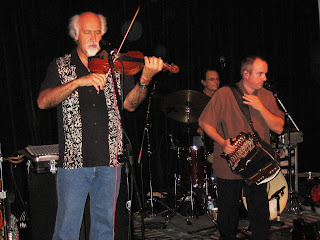 Beausoleil is the first group your humble blogger ever worked with that had a coffee urn in the dressing room. The smell of fresh-brewed coffee filled the Friday night air--a nice change! They mentioned that they had a rather enjoyable dinner at a local restaurant just before the show, so perhaps they wanted to make sure that the great food didn't make them feel too content. And judging from the dancing, the coffee did the trick! Mary Ann Rossoni is an incredibly dedicated songwriter. Your humble blogger goes way back with her, playing coffee houses and sitting in on songwriting critique sessions with her. Nobody respects the song more than Mary Ann, and nobody respects the fact that songwriting is more than inspiration--it's a craft, like woodworking or acting, that requires the honing of skills. Mary Ann has been unafraid to workshop her songs with other songwriters, listening to their praise and criticism and acting accordingly. And when she and her musical partner went their separate ways about a decade ago, she knew she had to improve her guitar and singing skills because she could really only lean on herself on-stage to deliver those precious songs. Your humble blogger remembers that when she was approached by a record company who wanted to sign her, instead of--like many other artists--jumping at the chance, she brought in professional representation to ensure it was a fair relationship. Like with her music, she knew that good things come from hard work. And she's not just focused on her career, she cares about others bigtime: Your humble blogger should note that when he put together compilation CDs to benefit good causes, Mary Ann was always one of the first artists to say "yes." 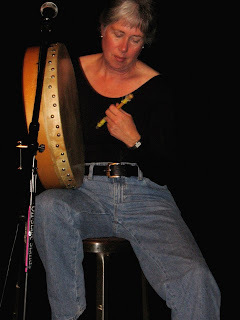 In fact, she specially wrote one song, Emma Lee, for one of the CDs, a song she has now refined and placed on Timber & Nails, her latest release. The Narrows welcomes her on Thursday, November 8, and we hope you'll come to the show and hear the fruits of her labors. 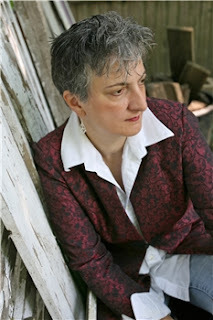 Read the Providence Journal's review of her new CD here. If you go here, scroll down a bit for a write-up by the Providence Phoenix. He lives in Italy, but much of his musical heart lies in the USA, where many of his influences--including Narrows alums Leo Kottke and Tony Rice--call home. He also cites Gypsy jazz guitar icon Django Reinhardt as an influence and often collaborates with Dawg music great David Grisman. This is a must show for serious students of the guitar. Hear what he sounds like by visiting his myspace page. Also, visit beppegambetta.com. 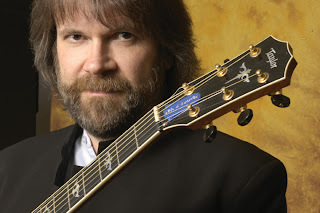 He's a huge presence on the Americana/folk scene as a performer and a songwriter (Willie Nelson, Carlos Santana, Shawn Colvin and Mary Chapin Carpenter have covered his songs), and is likely to sell out the Narrows again. Get your tickets early for this one. 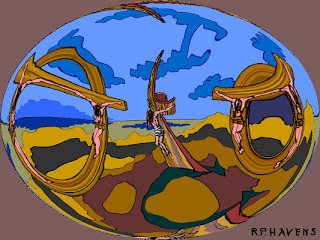 http://www.gregbrown.org/. Rhode Island area treasures Pendragon did their annual October show at the Narrows Saturday night. As you may know, Pendragon was onto the Celtic thing back when people said "sell-tic" as opposed to the hard "c" sound. A few fotos from Saturday night. Friday night marked the debut of LA singer/songwriter Karla Bonoff at the Narrows, and it was a heck of an introduction. Producer/side guy Kenny Edwards kicked things off with several tunes from his first ever solo CD--he's made a ton of records (he's Bonoff's producer) but never got around to his own. 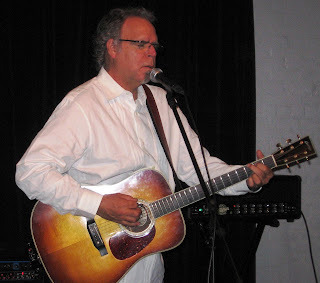 (As noted in an earlier entry in this blog, your humble blogger is a big fan of Mr. Edwards--to the point when I was introduced to the multi-instrumentalist-producer-former Stone Poney before the show I showed uncharacteristic enthusiasm, like a "fan." This apparently was unnerving to witnesses, according to other Narrows' volunteers. Your humble blogger pledges never to show an emotional crack in his professional music armor ever again.) BTW--for more info on the Stone Poneys, click here. 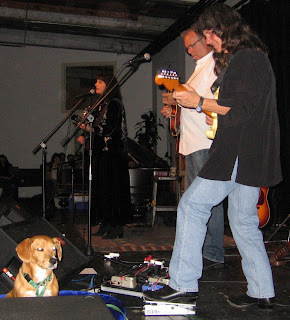 A youngish 56-year-old Bonoff played the tunes that made her fame as a songwriter, including "Somebody To Lay Down Beside Me," covered by Linda Ronstadt, and "Tell Me Why," a hit for Wynonna Judd. Ms. Bonoff noted that her song "All My Life, " a big hit for Ronstadt and Aaron Neville, is apparently popular at weddings "though I wouldn't know." Despite being a night of ballads and mid-tempo numbers, the quality of the songwriting, Bonoff's stellar vocals, and the understated-yet-solid musicianship from Bonoff, Edwards and guitarist Nina Gerber engendered the energy to bring the crowd to its feet. A quirky aside--Ms. Gerber brought her dog on stage for the show. Tootsie Gerber, unlike the appreciative audience, seemed to sleep through the music. It's the first time a dog has "performed" on the Narrows' stage. Yeah, I know we're all too cool to admit we like Bruce Springsteen...but, hell, the guy has taken artistic risks--specifically The Seeger Sessions--and challenged himself in other ways. Bruce is a true artist. Your humble blogger did not have one single Springsteen CD (Wait a minute--I might have the Seeger Sessions CD; can't remember) in his collection, until he heard the first single off of the "Magic" CD, called "Radio Nowhere." Since your humble blogger has had too many years behind a radio microphone not to take notice of a song with the word "radio" in there, he went and purchased it (with a Newberry Comics' coupon, for under 11 bucks). I'm also a big fan of Little Steven, who, with the other E Streeters, has rejoined Bruce for the recording and a tour. Other than the fact that the CD is a bit too bassy (part of the way Bruce gets that immense "Wall of Sound" anthemic quality to his stuff), it's fun, interesting and clearly showing a guy at the height of his powers. As for its political commentary, you can read about that here if you'd like. Yeah, yeah, I agree with all the sentiments on the record--but the world according to Bruce is of less interest to me than whether the record is--as a sum of all its parts--worth my time. 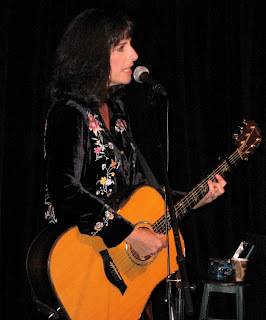 Friday, October 12 the Narrows welcomes singer/songwriter Karla Bonoff for the first time--but since your humble blogger is a man who reads the liner notes, he'd like to announce that Kenny Edwards will be backing Ms. Bonoff. Didn't you ever read the credits on a Linda Ronstadt album? He helped found The Stone Ponys, baby (Remember "Different Drum?") with Linda. He'd done much more over the years, of course. Beatle George, sometimes known as the Dark Horse, will be the subject of a documentary that will be shown in movie theaters.